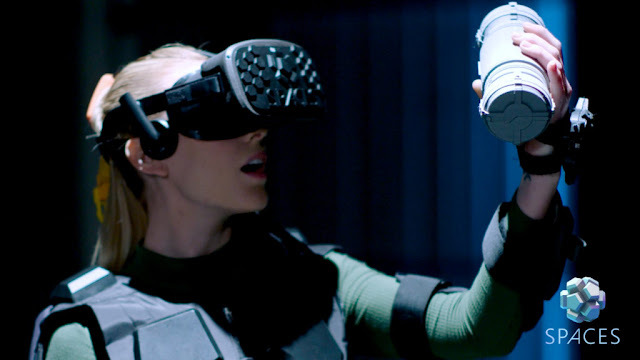 Cinemark Holdings, Inc. (NYSE: CNK), one of the world’s largest motion picture exhibitors, announced it is opening a brand-new, immersive virtual reality (VR) experience on February 8 at its Century 20 Oakridge and XD theatre in San Jose, CA at the Westfield Oakridge Shopping Center. As the newest SPACES location, it will feature multi-sensory VR technology blending 4D effects, 3D face scanning, physical interaction and social group play. Tickets and information are available now at Cinemark.com/SPACES. Thrill-seekers gear up and join the resistance in the fight against Skynet in a heart-pounding, untethered, adventure that takes place in the Terminator universe. The first Cinemark SPACES experience will be “Fight for the Future” based on “Terminator Salvation.” Upon entering Cinemark SPACES, guests will register and then scan their faces using SPACES’ unique, proprietary face scanning technology. Fans will be immersed in a free-roam, virtual reality battle with up to four people in a group. Transforming locations into digital playgrounds, SPACES invites guests to engage their senses through virtual reality, haptic feedback and environmental effects that guests can reach out and touch. The moment they take off their headsets, guests immediately receive a cinematic video of their experience that they can take home and share on social media. The Cinemark SPACES is located at 925 Blossom Hill Rd., San Jose, CA 95123 in the Westfield Oakridge Shopping Center. Cinemark is a leading domestic and international motion picture exhibitor, operating 541 theatres with 6,014 screens in 41 U.S. states, Brazil, Argentina and 13 other Latin American countries as of September 30, 2018. For more information go to investors.cinemark.com.